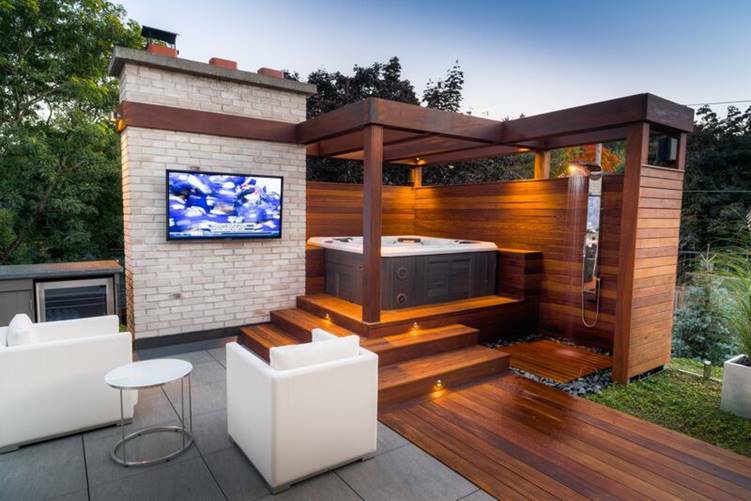 The exclusive House Beautiful Swim Spa and Hot Tub will transform your outdoor living space, giving you a great place to relax and spend quality time with your loved ones. The superb massage features help sooth aches and pains, revitalising your body, mind and soul. 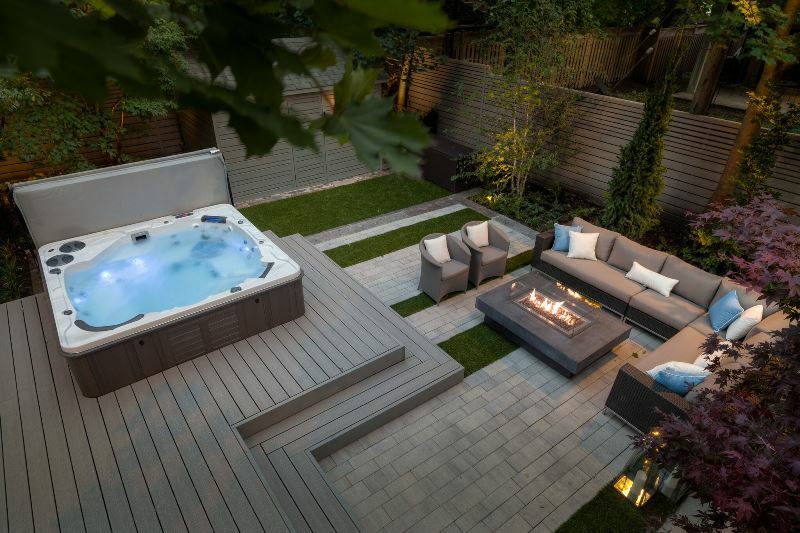 Bring real luxury to your garden with the help of the new House Beautiful hot tubs and swim spa pools. 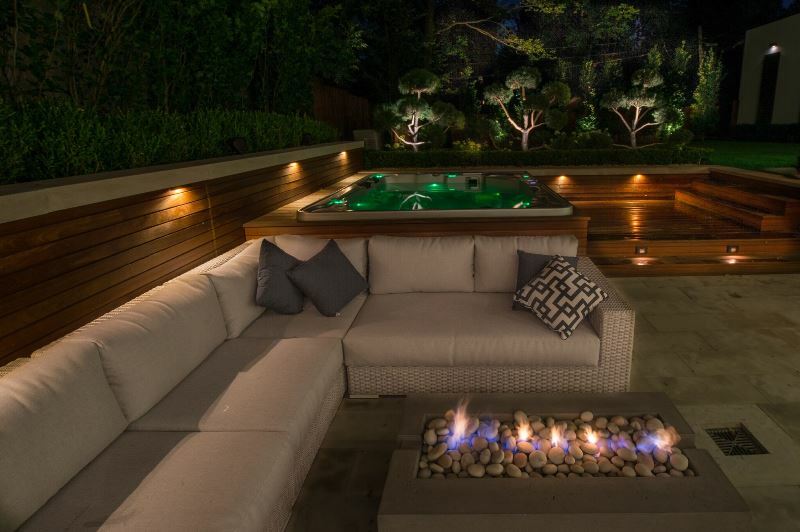 No matter the weather or time of year, you can lie back and relax in warm, bubbling water, or go for an invigorating swim without leaving your garden. This exclusive collection is being offered in collaboration with the award-winning Hot Tub and Swim Spa Company, a family-run business with an impressive and reassuring 50 years of combined experience in the home spa and well-being industry. 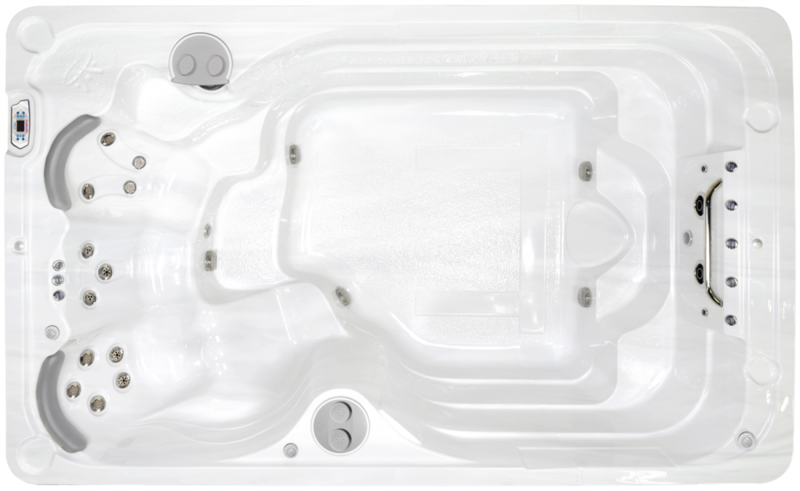 With its exclusive Ice White interior and neutral Elephant Grey exterior, the House Beautiful hot tub will make a striking feature in your garden. 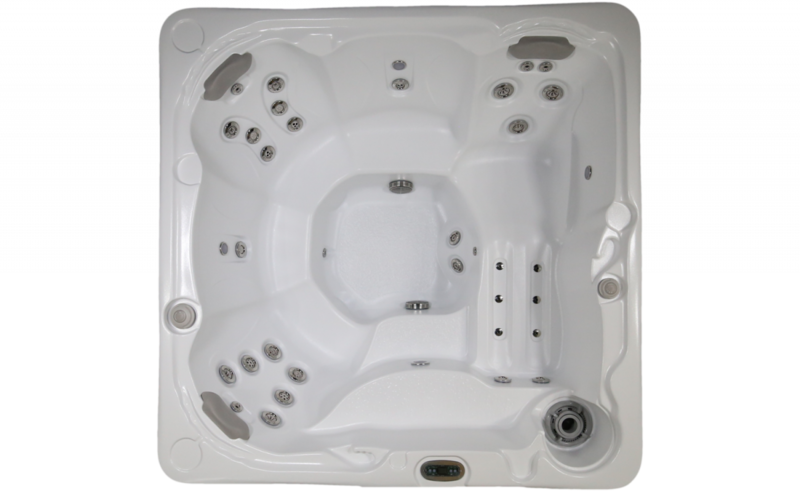 Each tub holds up to six people, and is fitted with full-body massage jets to leave you feeling refreshed and energised. Choose from a range of wellness programmes to reduce stress and aching muscles. The House Beautiful Swim Spa pool is a fabulous exercise pool, relaxation spa, wave pool, treadmill, water feature and aqua gym in one! 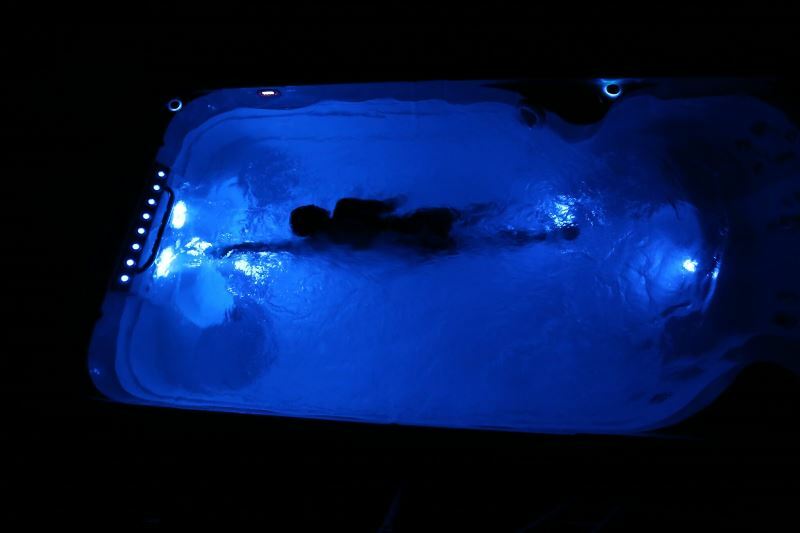 In summer keep the water cool, and in winter turn up the heat to Hot Tub temperature so you can swim all year round. It’s available in the exclusive House Beautiful colours of Ice White interior and Elephant Grey exterior. 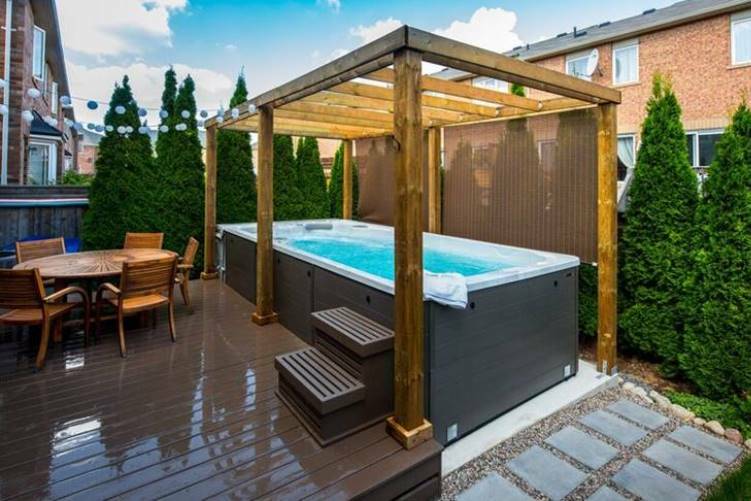 Our House Beautiful Hot Tub and Swim Spa Pool are really good value quality products that will look great, last for years, and perform efficiently. The House Beautiful Hot Tub and Swim Spa Pool are designed exclusively with House Beautiful magazine, carefully selecting the best-selling sizes and features with a stylish finish. 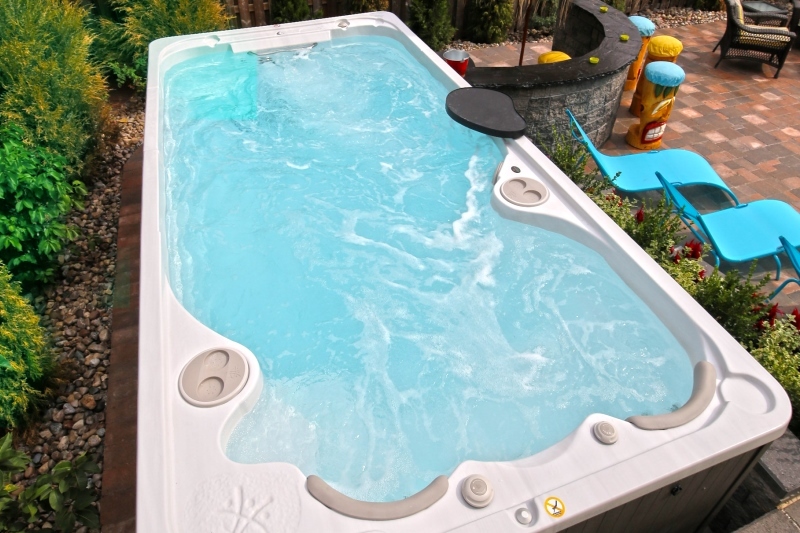 Installed and serviced by the UK’s trusted and Leading hot tub and swim spa supplier, The Hot Tub and Swim Spa Company. We are an expert and award winning company with an in-house service and maintenance team who cover the whole of the UK! Our Corporate vision is to be the UK’s leading wellness company with a focus on outstanding long-term customer care. 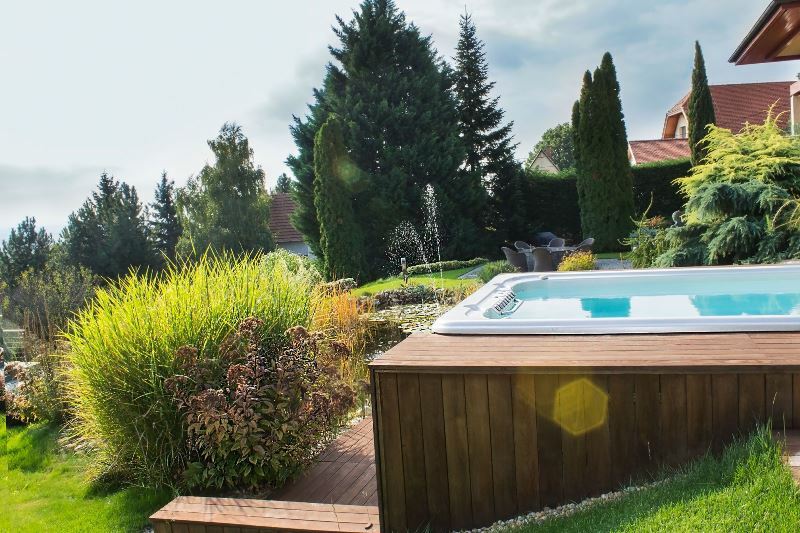 Use both the swim spa and hot tub all year round - adjust the temperature to suit the season (both can adjust the thermostat from 17 to 40 degrees Centigrade). Thermal covers and superior insulation is built into our products to ensure the lowest possible running costs (typically less than £1 a day for the spa hot tub and £3 a day for the swim spa depending on temperature and usage)! Many other finance options available, please ask. **This does not include electrics, cranes, concrete bases or the UK Islands. SWIM SPA *Representative Example. Cash price £18,750. Deposit £500, total loan amount £18,250. If you repay the loan amount before 12 months after the installation of the goods then no interest will be payable. If you do not repay the loan amount within the 12 months after installation of your goods then interest will be payable backdated to the date of installation of your goods as per the terms of your loan agreement. Repayable by 120 months at £321.92. Total charge for credit £20,380.40, total repayable £39,130.40 including the £500 deposit. APR 14.9% variable. HOT TUB *Representative Example. Cash price £8,995. Deposit £500, total loan amount £8,495. If you repay the loan amount before 12 months after the installation of the goods then no interest will be payable. If you do not repay the loan amount within the 12 months after installation of your goods then interest will be payable backdated to the date of installation of your goods as per the terms of your loan agreement. Repayable by 120 months at £149.85. Total charge for credit £9,487, total repayable £18,482 including the £500 deposit. APR 14.9% variable. Call us today on 0208 300 4003 to find out more about the House Beautiful Hot Tub and Swim Spa Range. 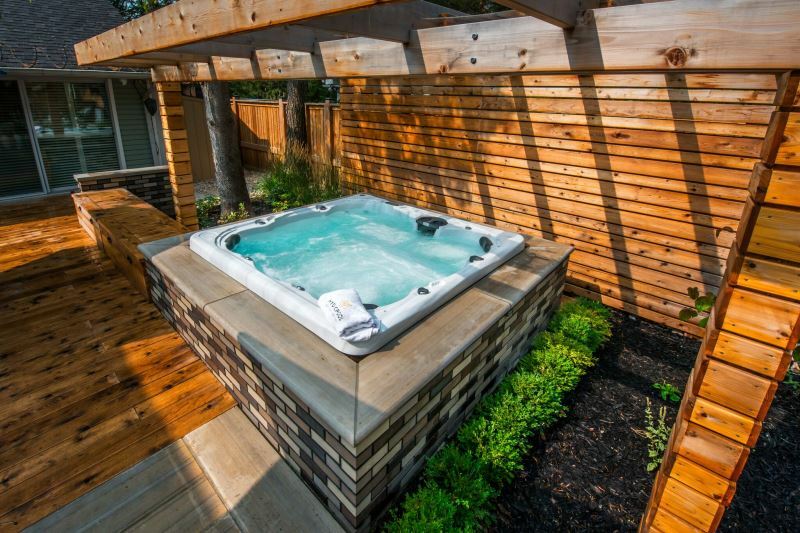 Banner images are for illustration only and may not show the exact house beautiful hot tub or swim spa.